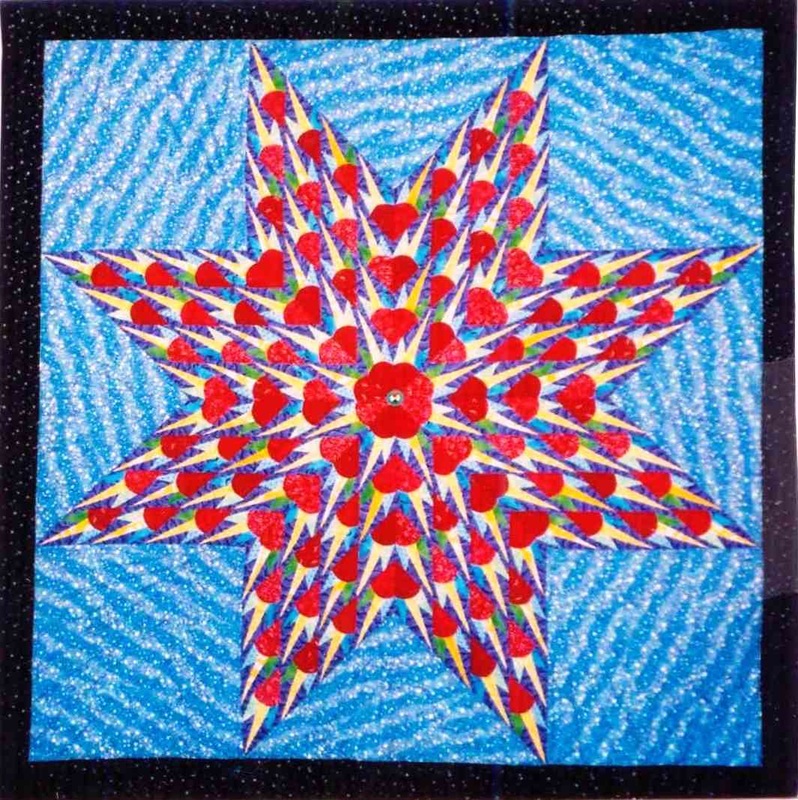 The First Spirit 30" X 30"
"Ancestors Watch Over Us I" 75x75"
Third Spirit 30" X 30"
Collection of Phil Fontaine 54x54"
The Star Blanket design is used by each First Nation, and each has their own story about its meaning. 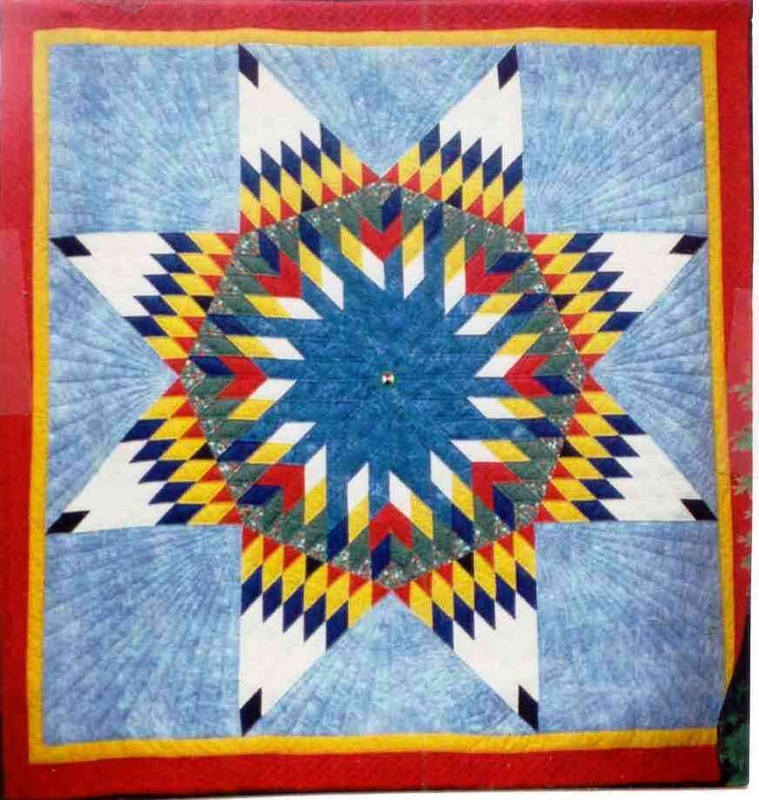 For the Anishinaabeg, "Midewiwin Women's Colours" is about the Sky Being that came to a meditating Anishinaabe woman, and gave her instructions on how the Anishinaabeg can live in peace." 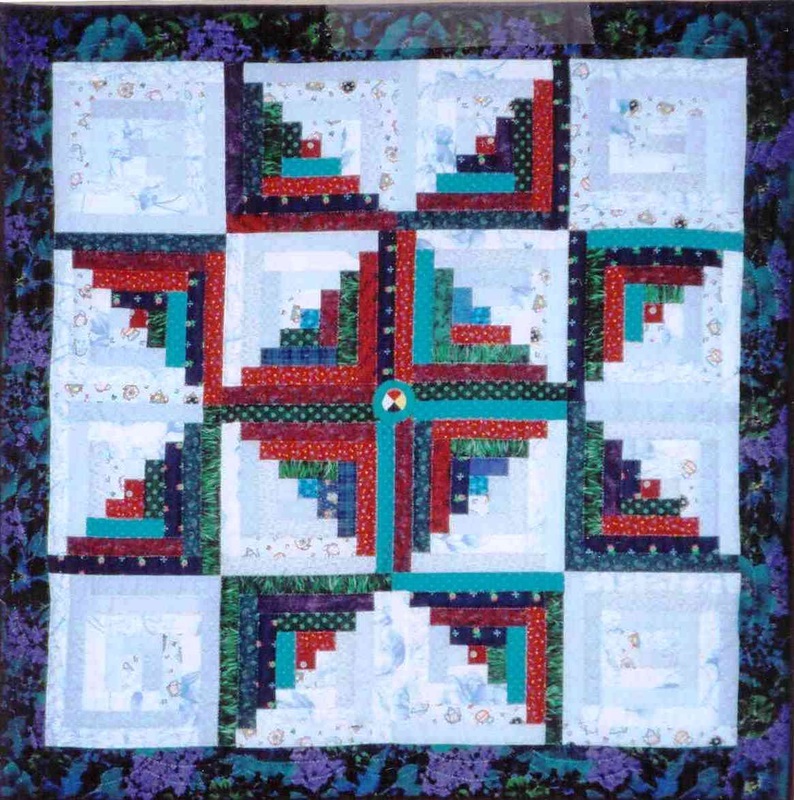 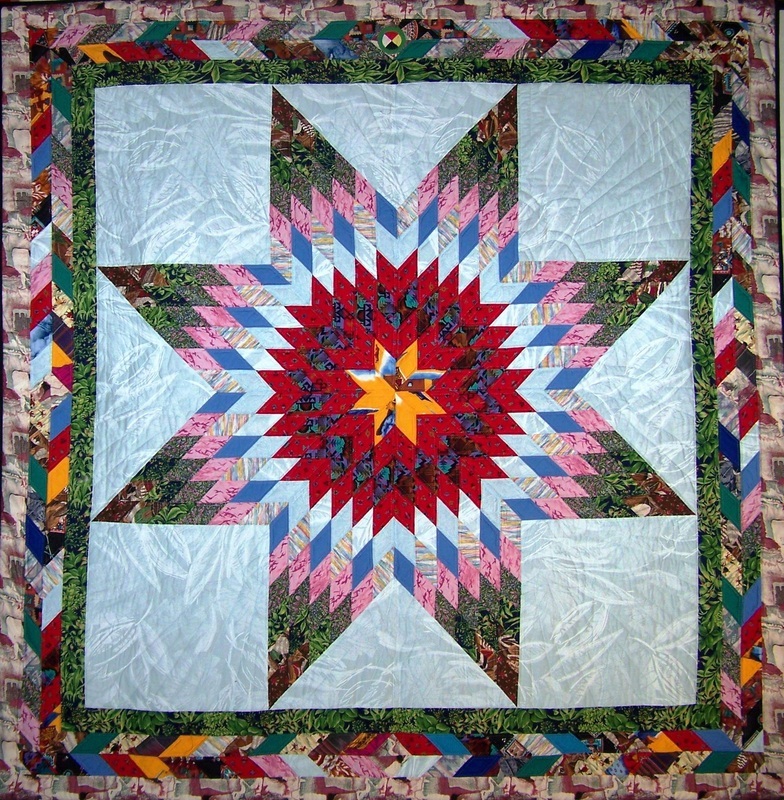 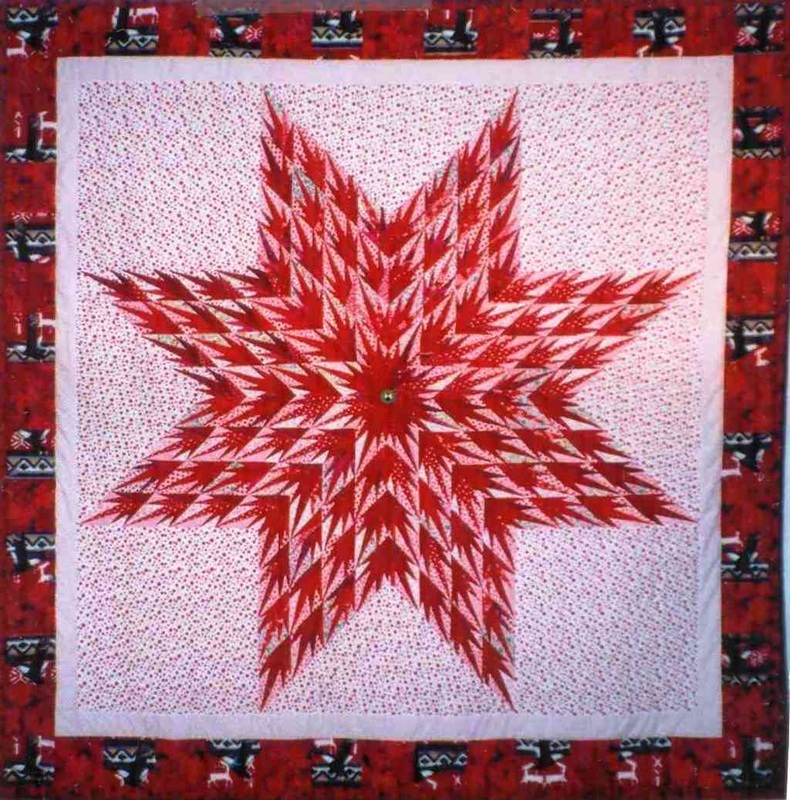 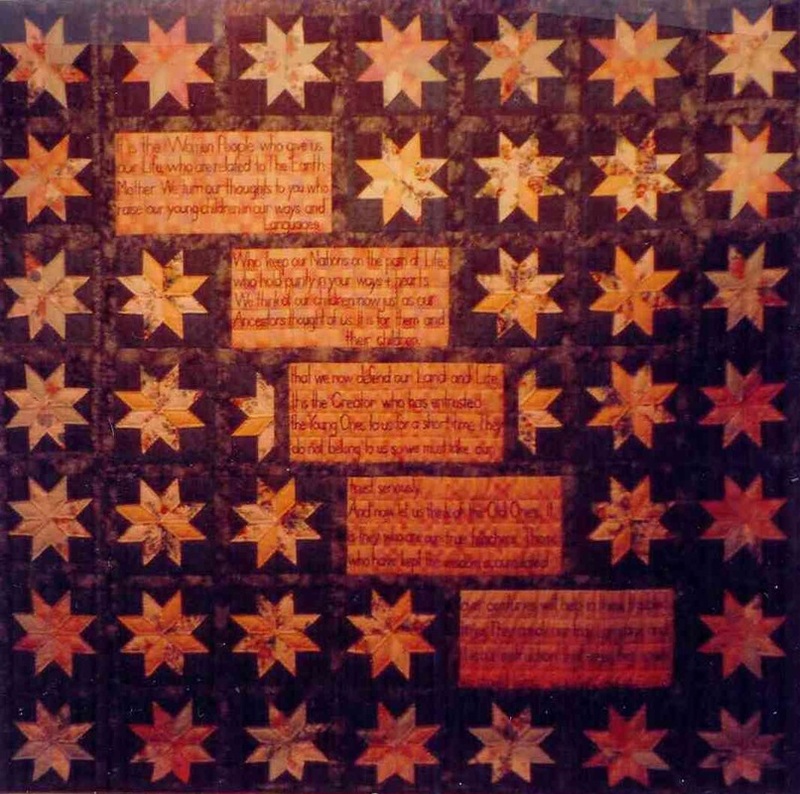 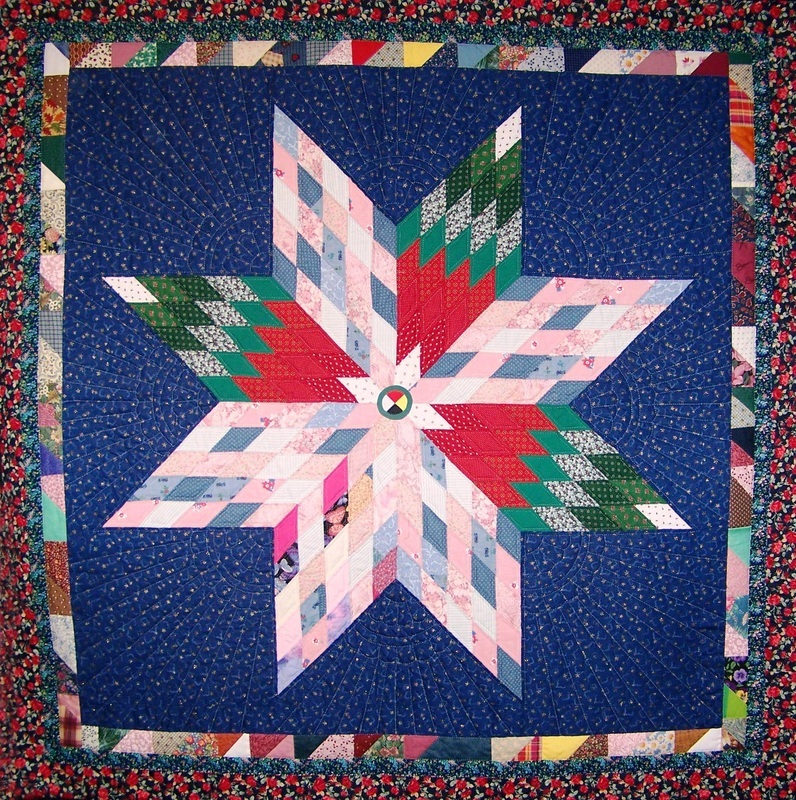 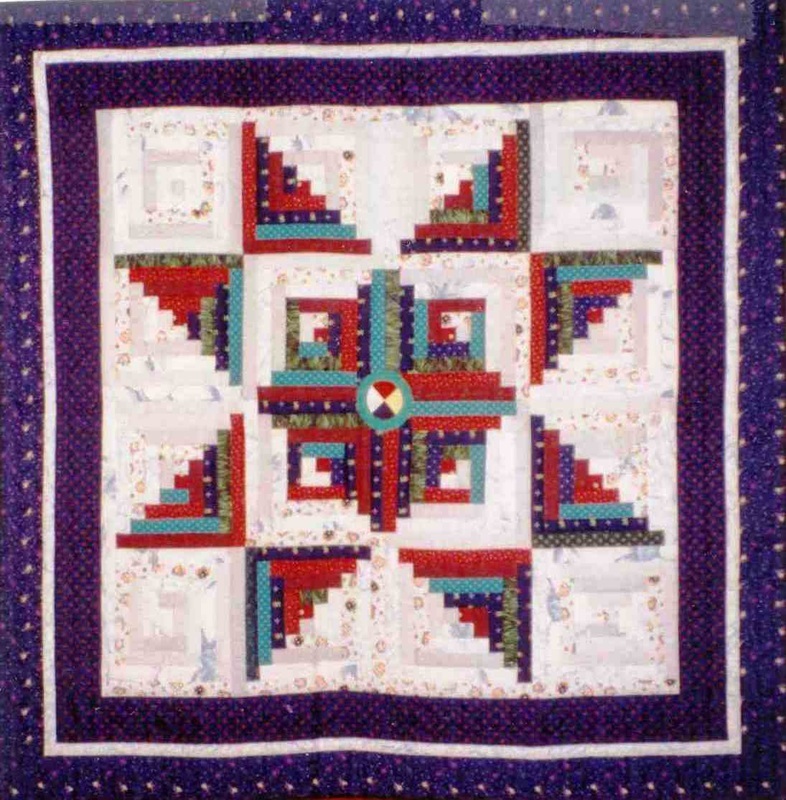 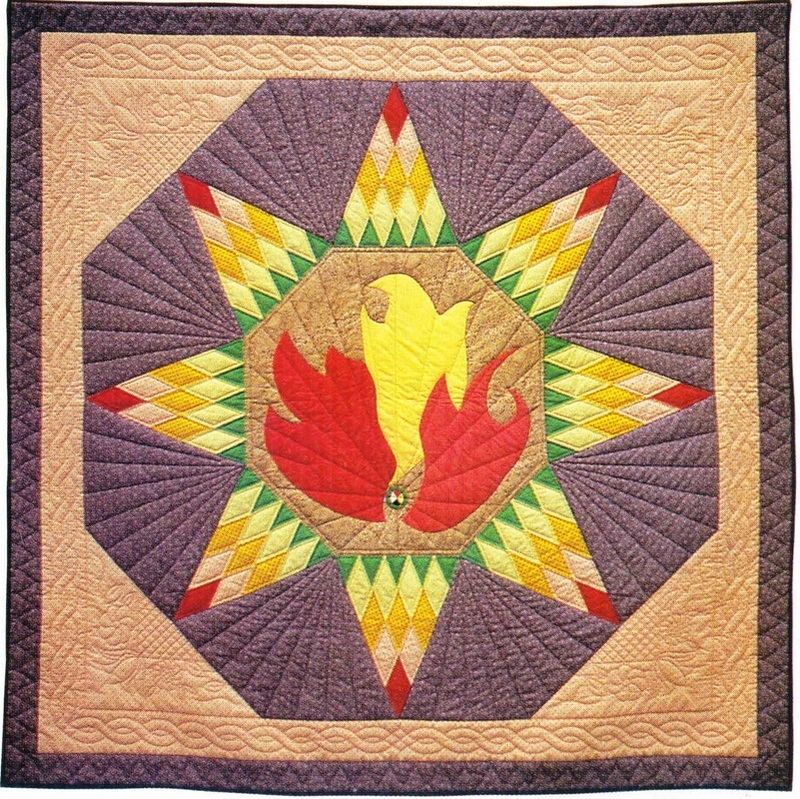 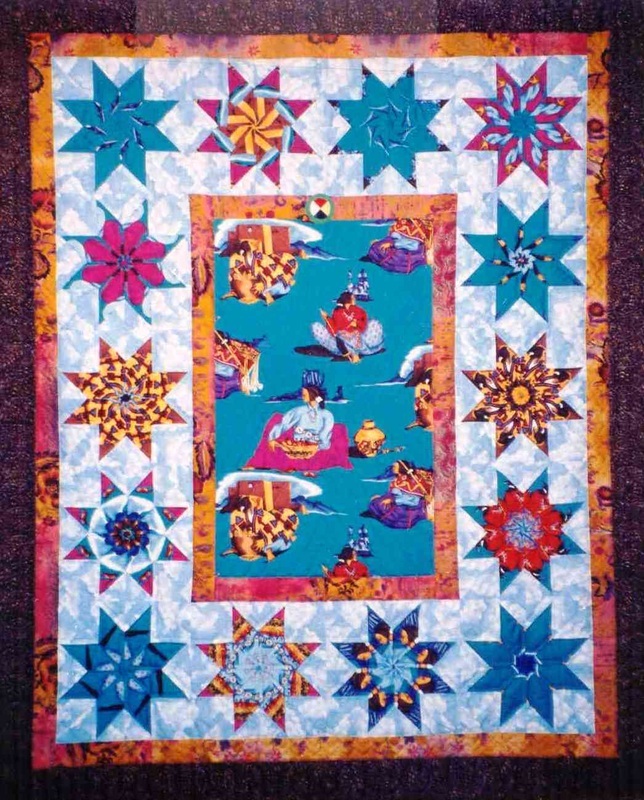 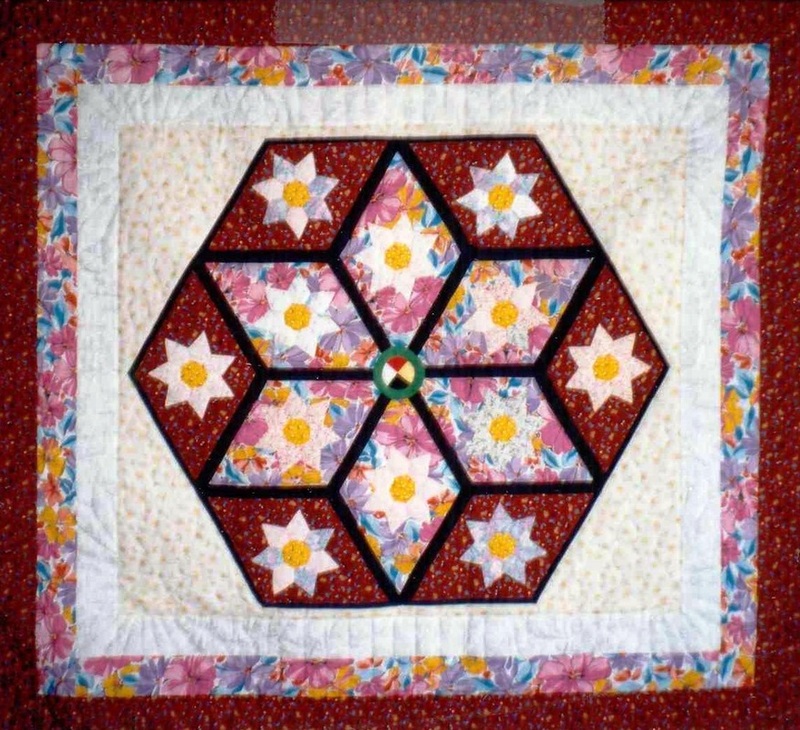 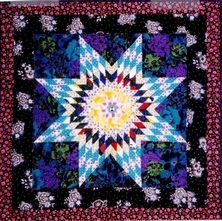 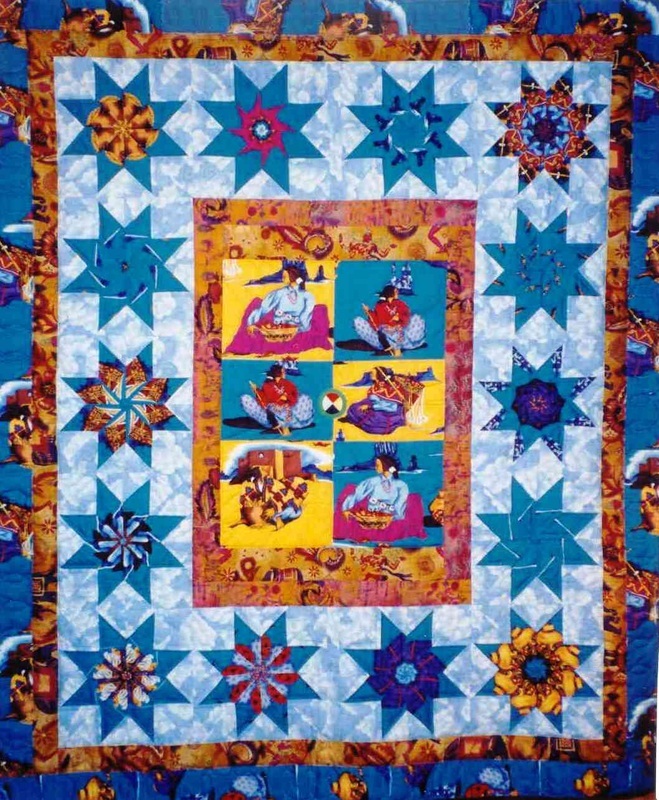 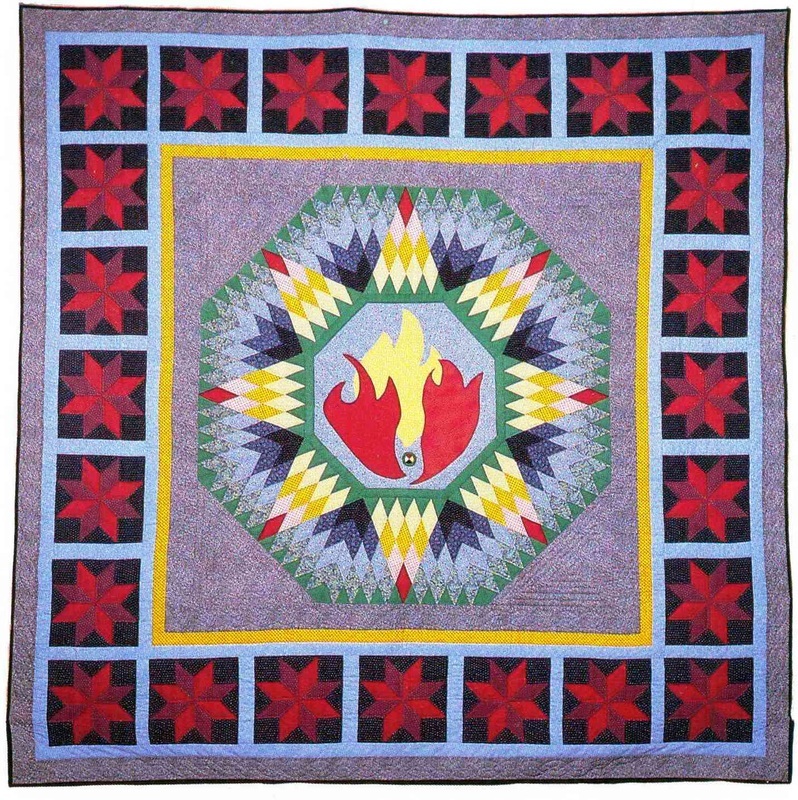 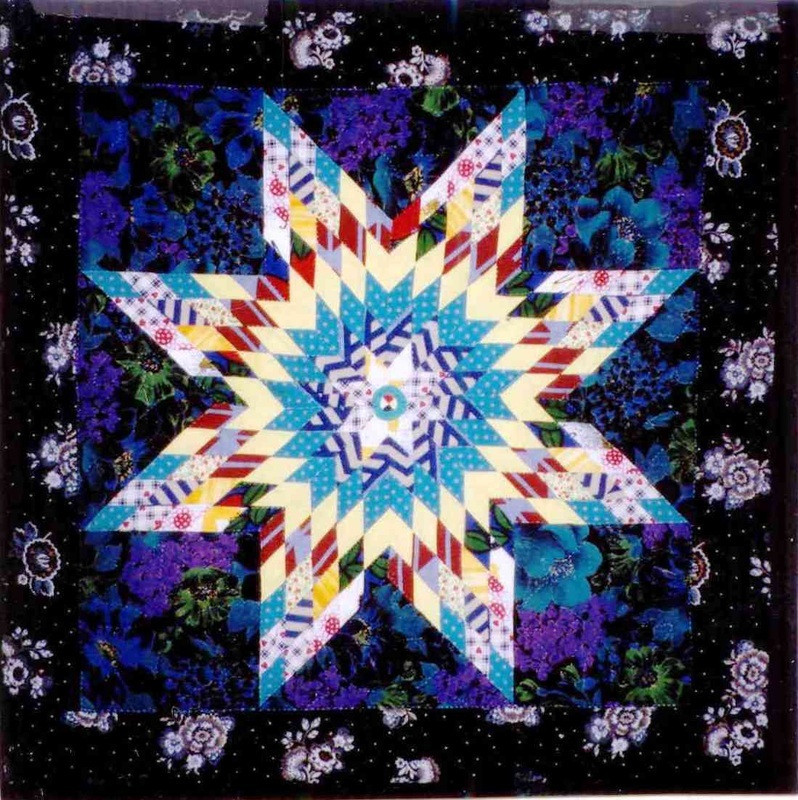 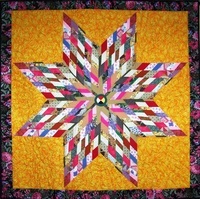 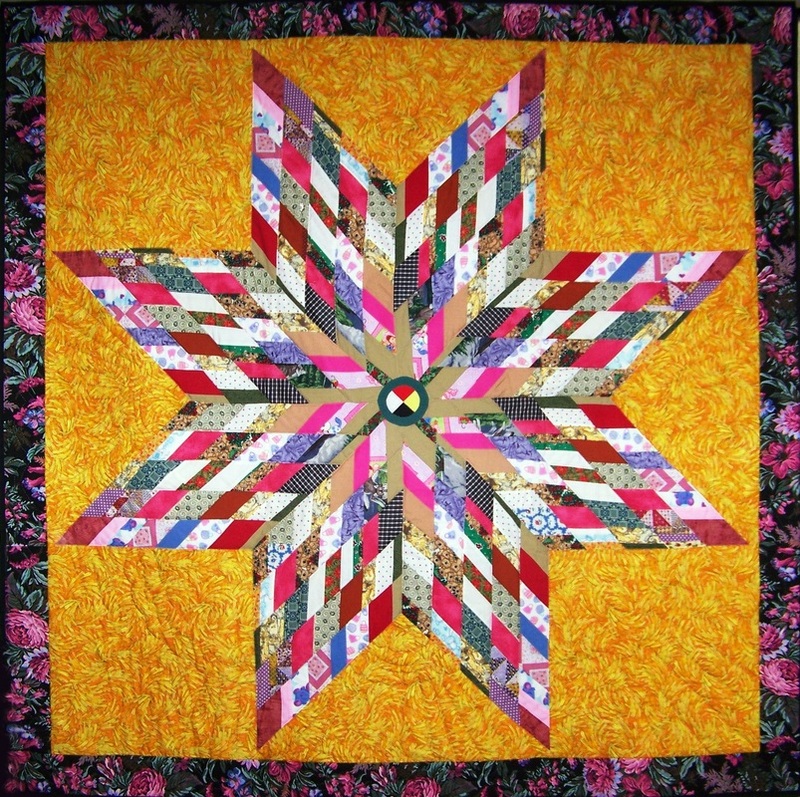 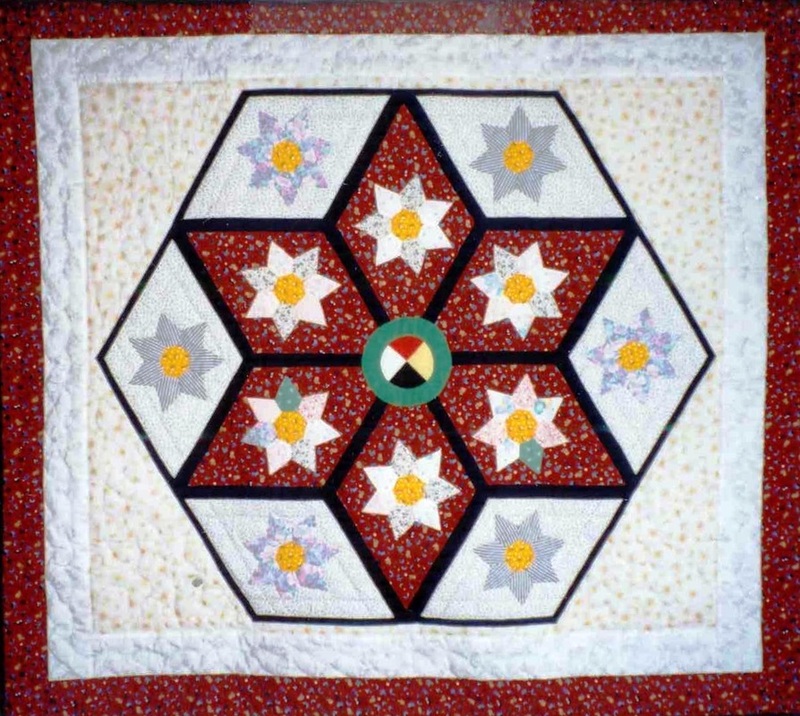 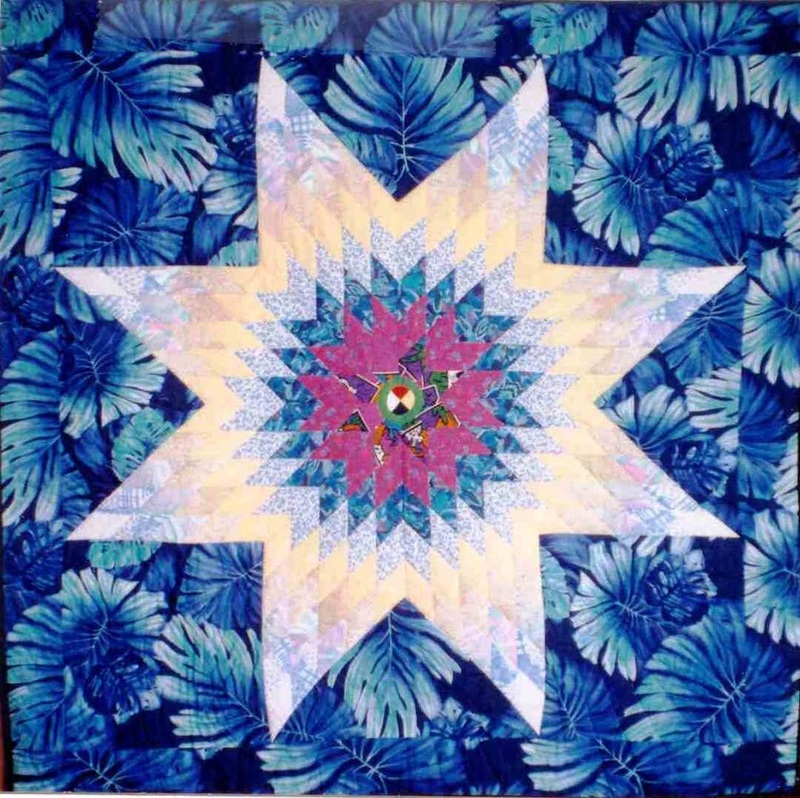 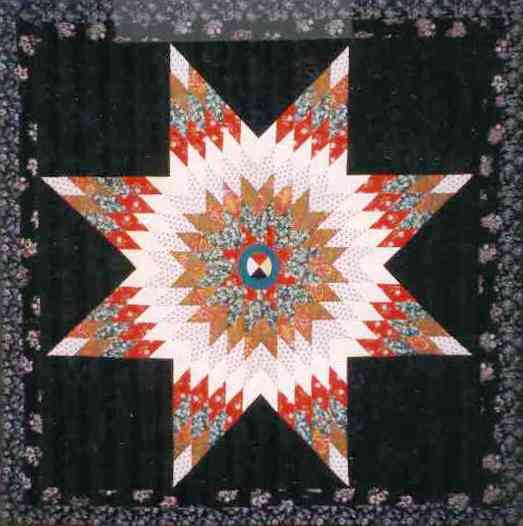 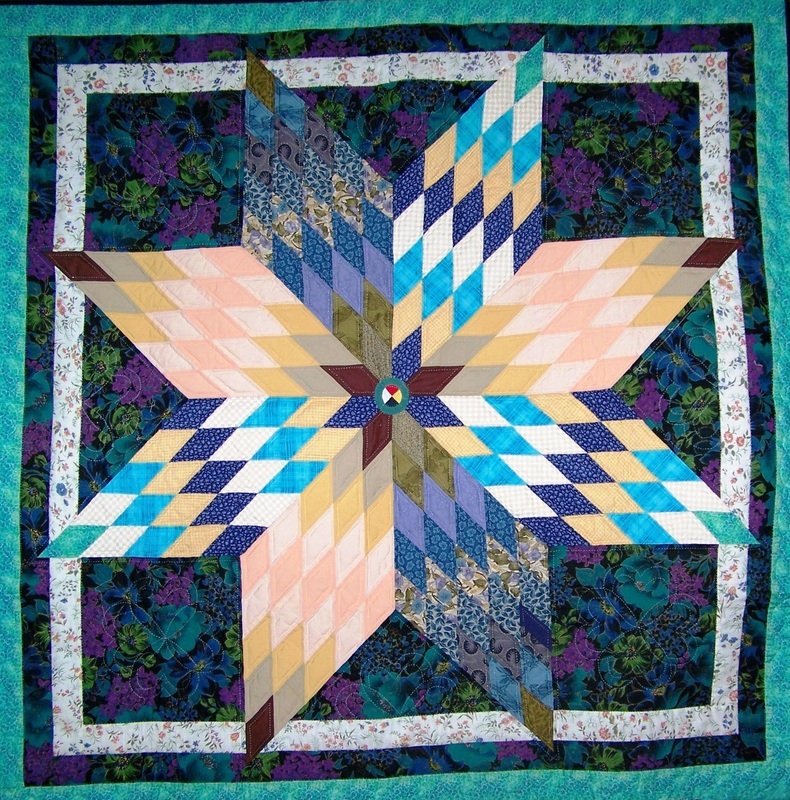 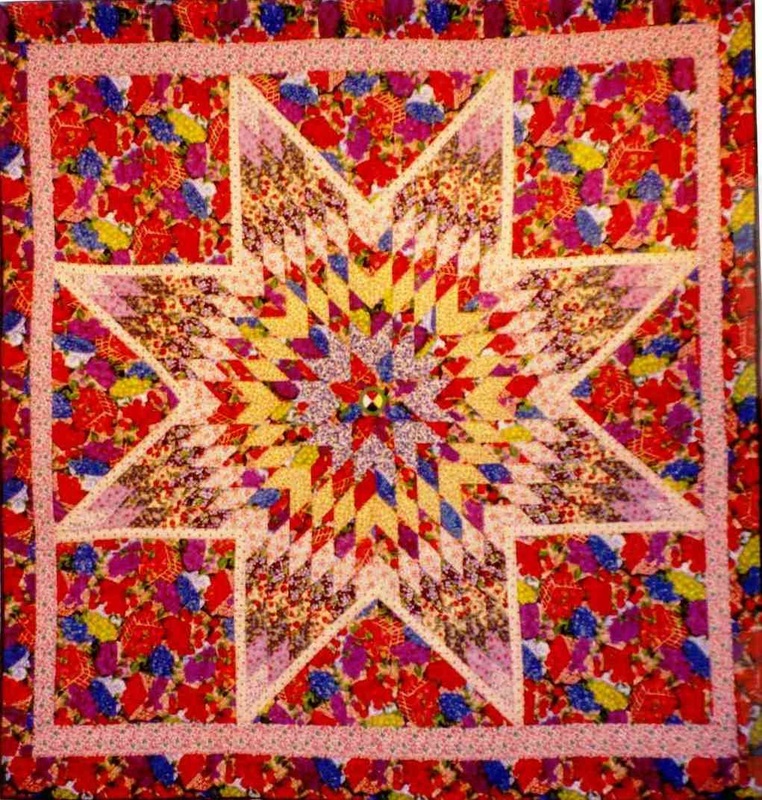 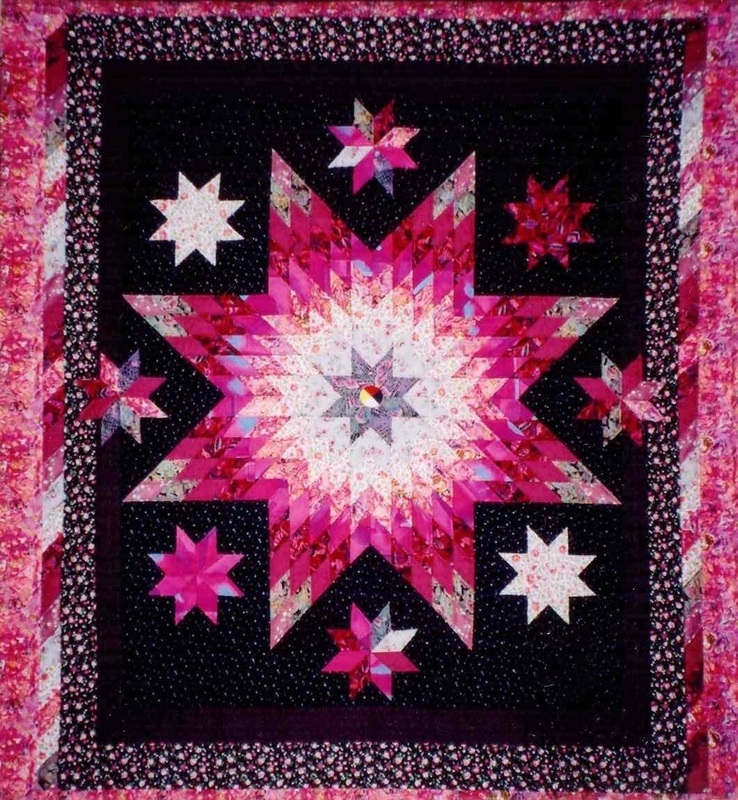 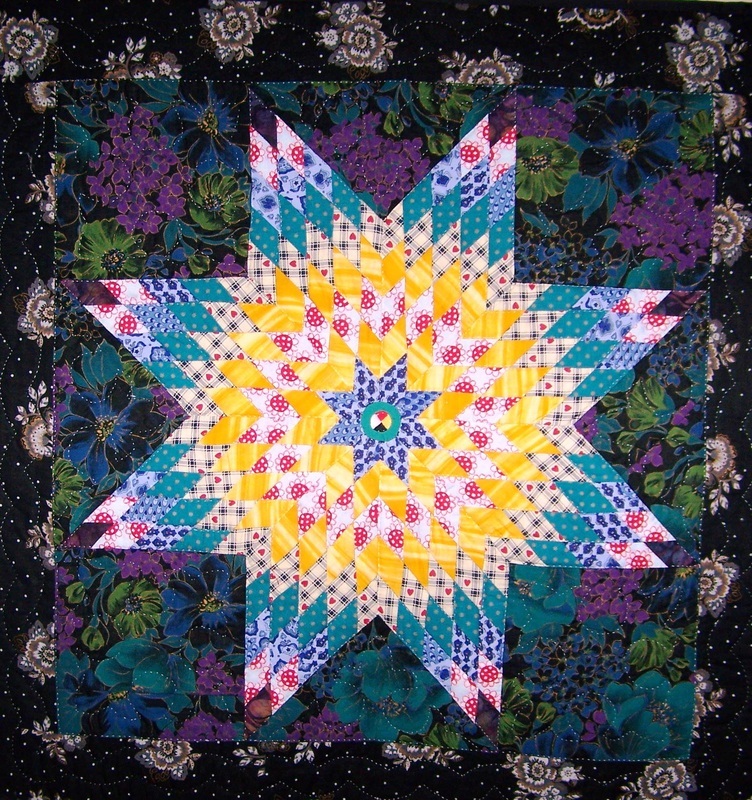 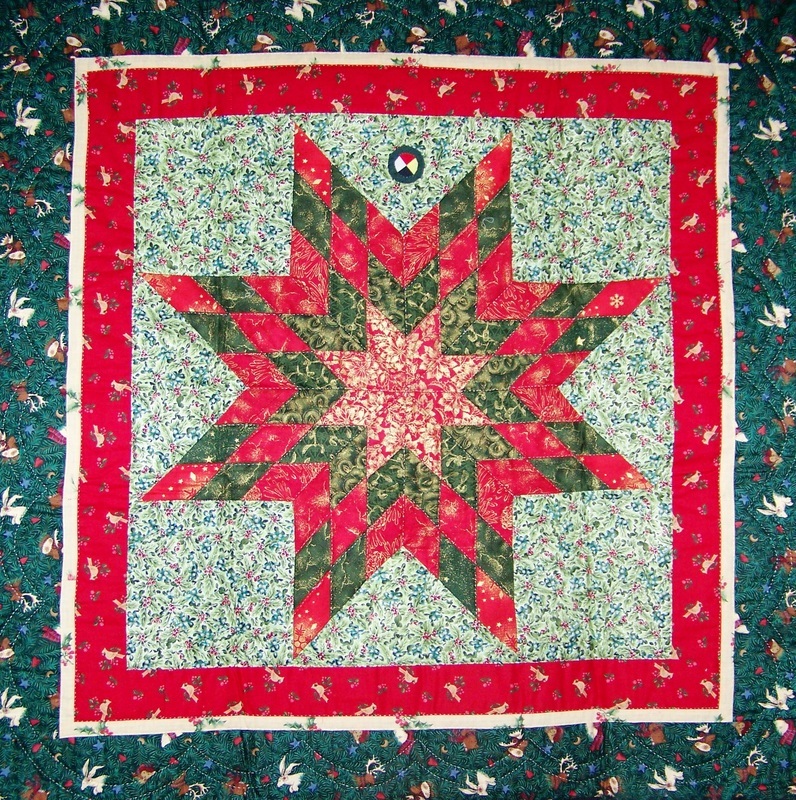 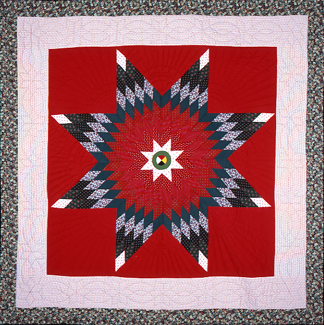 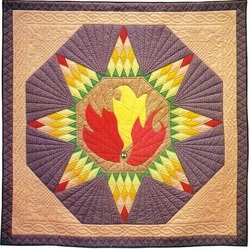 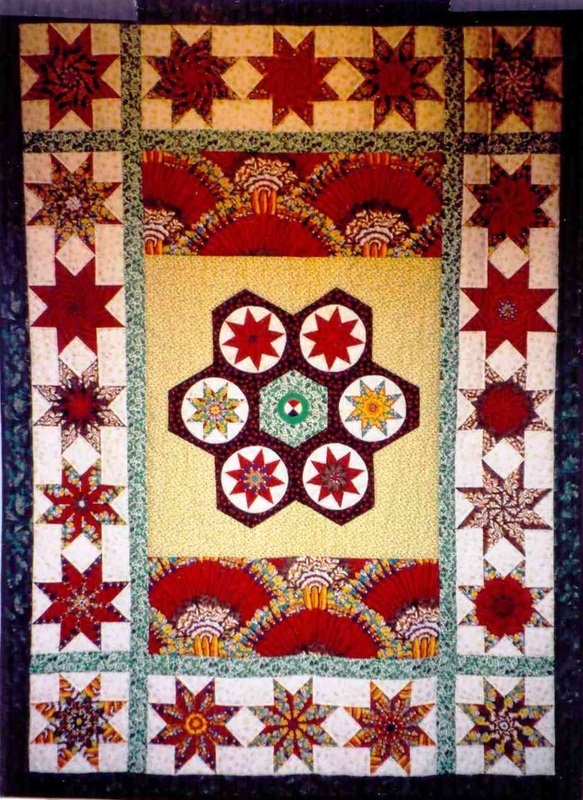 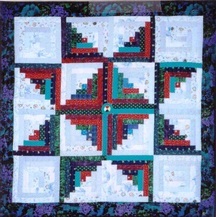 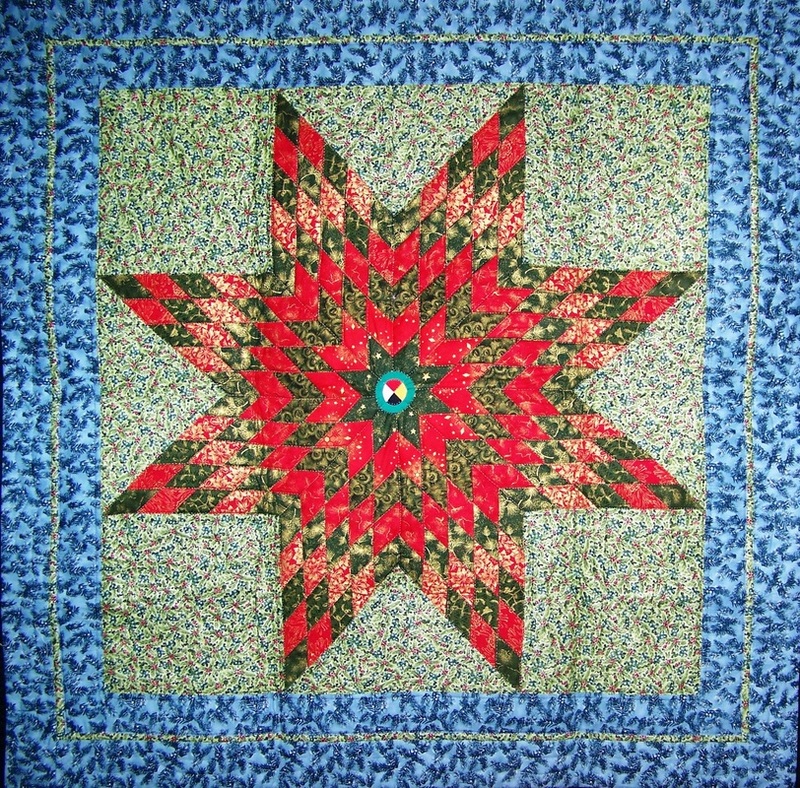 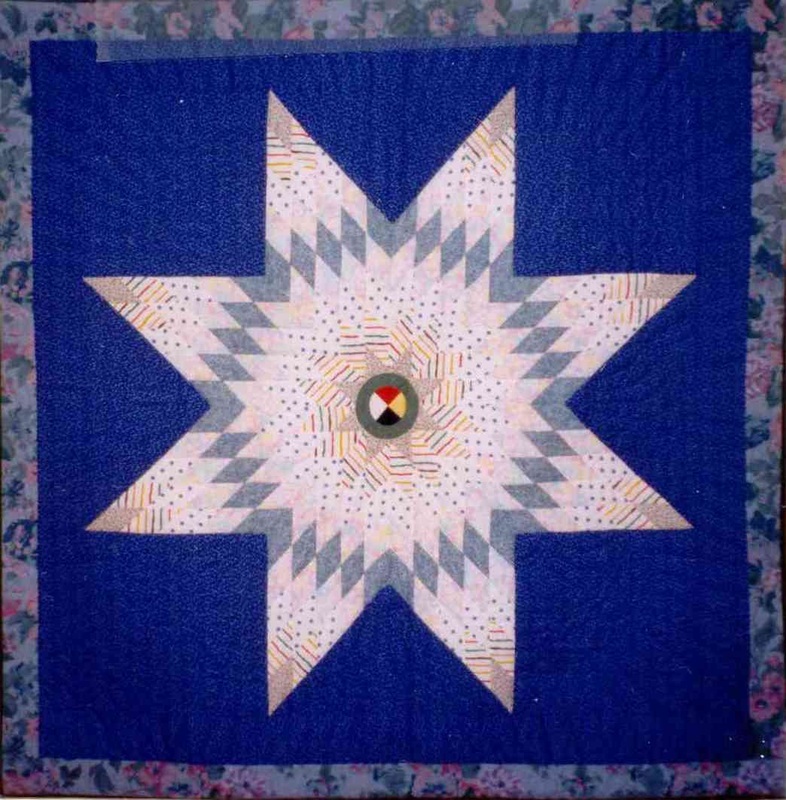 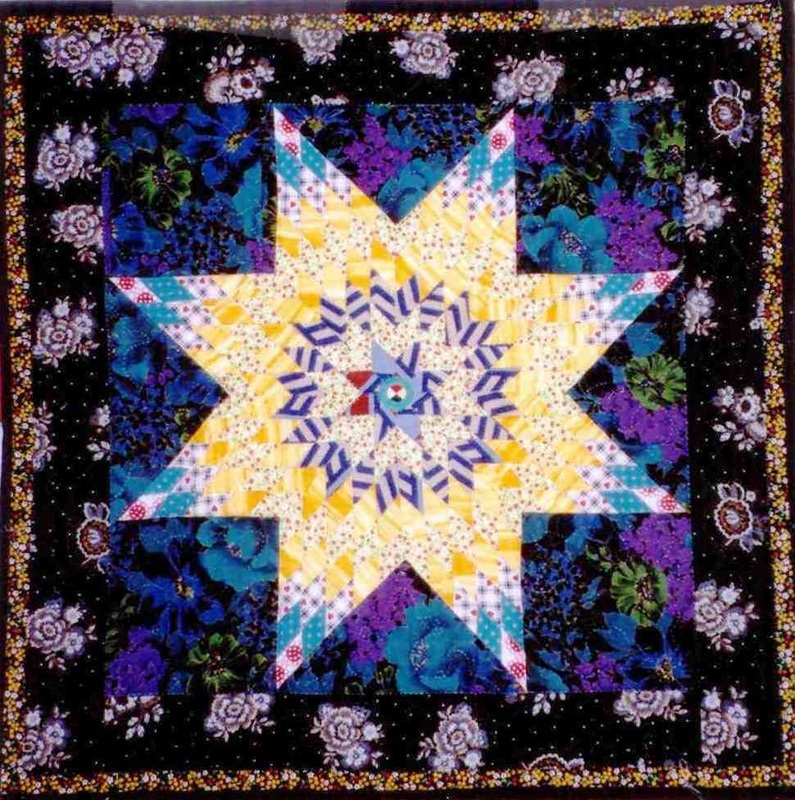 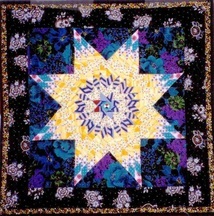 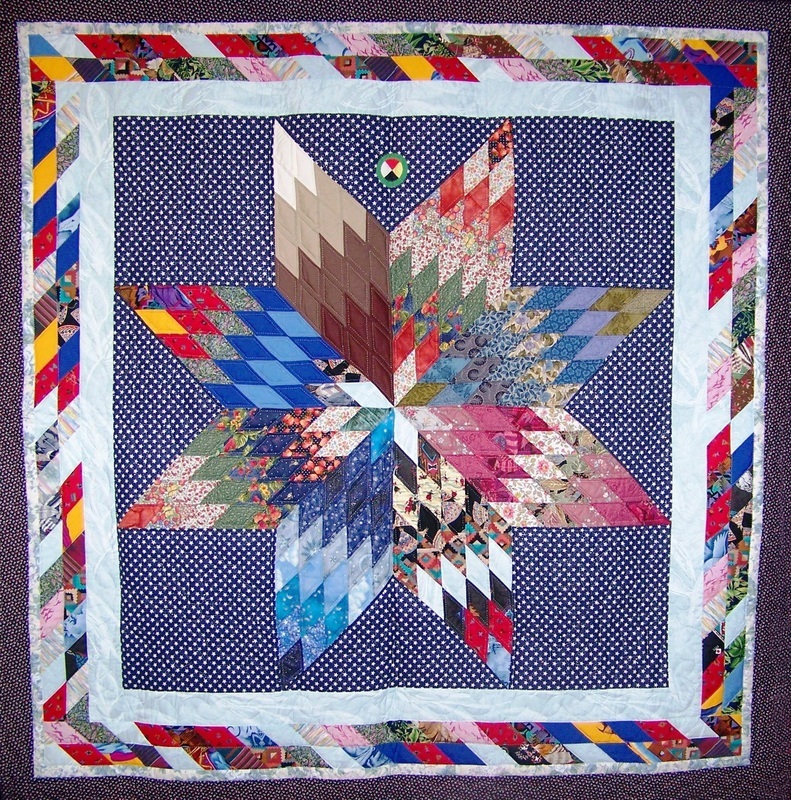 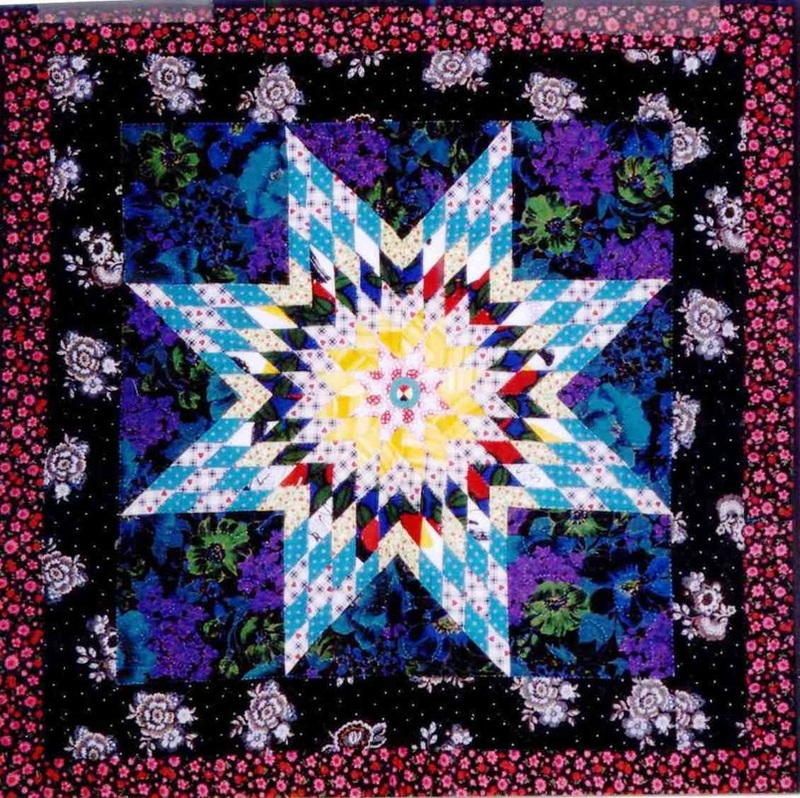 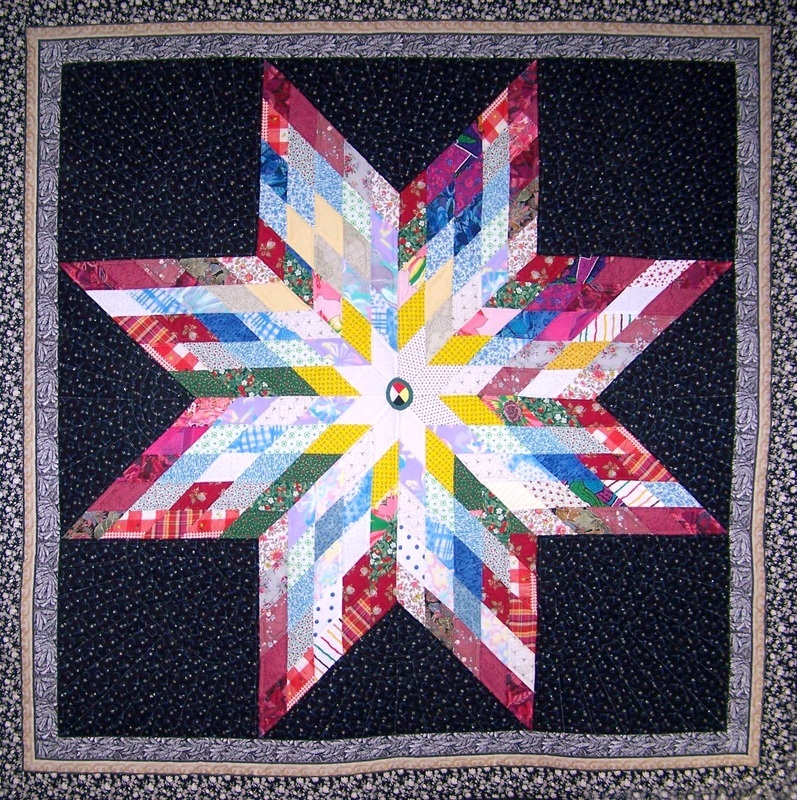 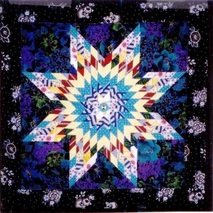 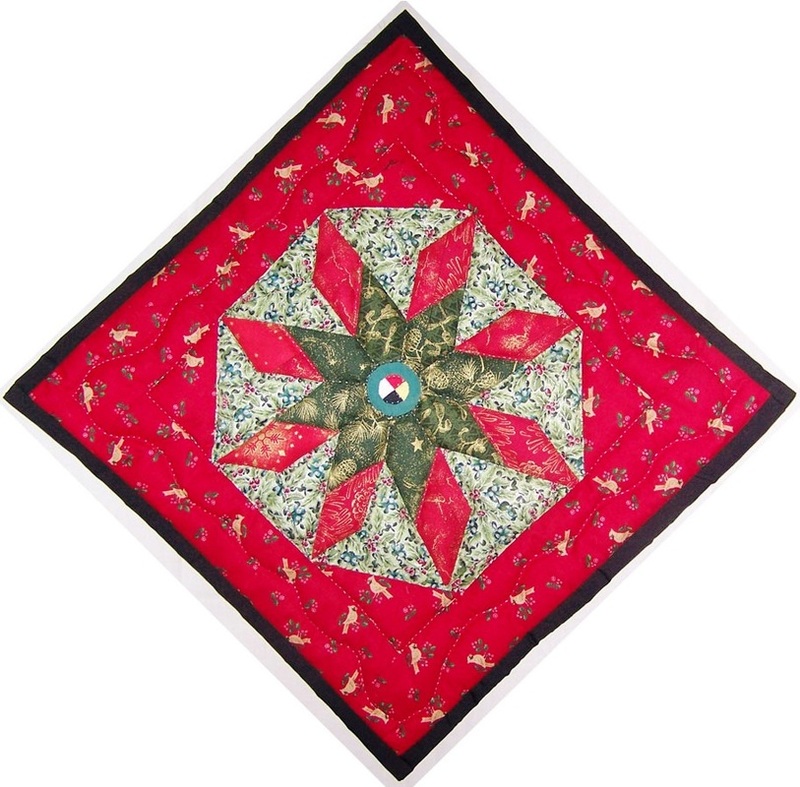 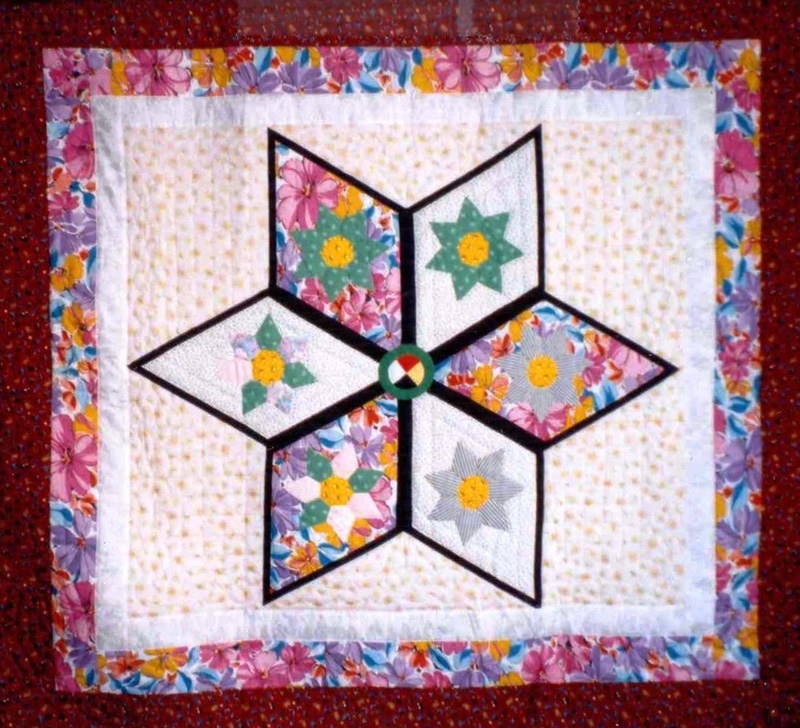 (Alice Olsen Williams) This quilt was featured as the official 2010 Christmas card for Indian and Northern Affairs Canada, signed by John Duncan, the Minister of Indian Affairs and Northern Development and Federal Interlocutor for Metis and Non-Status Indians. 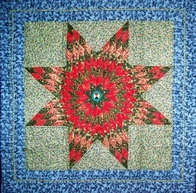 "Starblanket for Jan Longboat" 97.5x98.5"